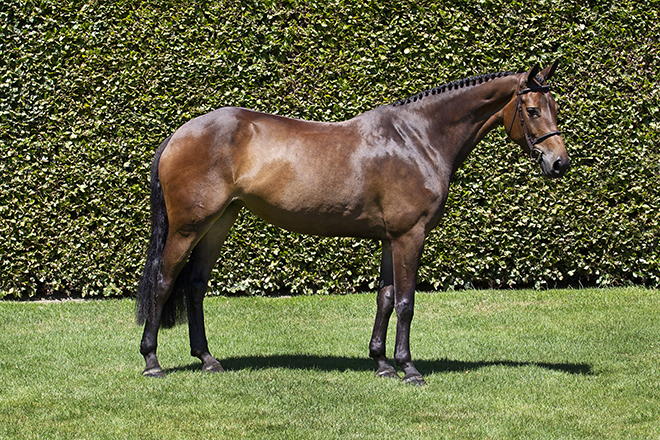 The Dutch Sport Horse Sales selection committee is proud to have the Kannan daughter Itina in its auction collection. 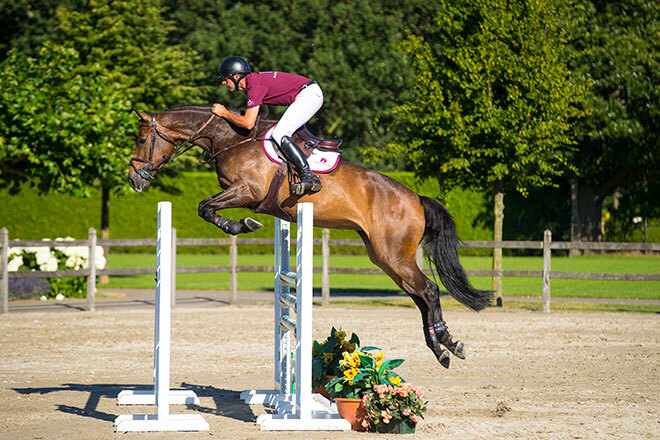 Combining excellent rideability with excellent jumping style, this modern show jumper boasts a very good canter and promises to be a horse that we’ll often hear about in the future. Although her sire Kannan has ranked among the world’s best sires for years, the combination of Indorado, Cash and the renowned Karin-line make Itina’s pedigree especially strong. Her granddam Retina M produced the international show jumper Narcissist FBH (Abdullah Al Marri). Furthermore, Itina is closely related to famous show jumpers including Desteny van het Dennehof (Gregory Wathelet), Ole (Mac Cone), Rolette (Ben Maher), Unaniem (Pablo Barrios), WKD Diva (Sameh El Dahan) and Marlou (Kimberley Prince).